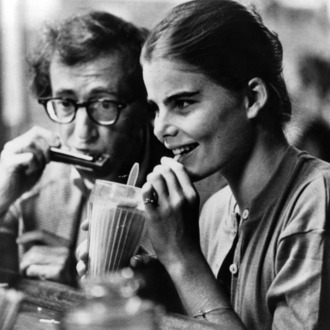 In her forthcoming memoir, Out Came the Sun, Mariel Hemingway claims Woody Allen tried to coax her into joining him for a romantic getaway in Paris. The two had worked together on Allen’s Manhattan when the actress was a minor. After she turned 18, Hemingway says the 44-year-old director flew to her parents’ home in Idaho with the invitation. “Our relationship was platonic, but I started to see that he had a kind of crush on me, though I dismissed it as the kind of thing that seemed to happen any time middle-aged men got around young women,” Hemingway writes, according to a book excerpt obtained by Fox News. Although Hemingway told her parents she was unsure of the room and sleeping arrangements, her parents encouraged her to go. Hemingway vetoed both parties after she awoke in the middle of the night “with the certain knowledge” she was being duped into a sexual setup. She then went to her family’s guest room — where Allen was staying — and shook him, saying: “I’m not going to get my own room, am I? … I can’t go to Paris with you.” He left Idaho the next day. Hemingway’s memoir details similarly presumptuous advances from other Hollywood heavyweights, including Bob Fosse, Robert DeNiro, and Robert Towne. In other arenas, the author also discusses her marital issues, movie career, and the history of mental illness in her family, among other topics. The book, published by Regan Arts, is due out April 7.